Learn how you can serve your homeless neighbors with CSM! If you attended this year's Presidential Inauguration in Washington DC, you may have seen a flood of fur coats. Why so many? Because PETA distributed the coats to homeless individuals throughout the capitol. Check out this blog entry explaining the motive and hope to raise awareness about DC's hidden homeless population! Ran across this inspiration article from Christianity Today. Wow! What commitment to a community. Take a journey with a New York pastor that didn't back down when God called him to minister to one of NYC's hardest neighborhoods. Learn how you can serve with CSM in New York! Learn how you can serve the nations by serving in Toronto with CSM! Video made by Austin Sauerbrei - upcoming CSM Nashville City Host for the Summer of 2009! Like the video? 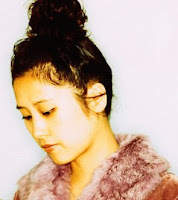 Then vote for it on Sojourner's website! When you think of the words "Human Trafficking" what comes to mind? Most often than not, North Americans think that the enslavement of humans only happens abroad, but the reality is - it's in our own backyard. A recent MSNBC interview tells the story of a woman who was trafficked in her small, suburban town as a teenager. Bars around Houston are famous for trafficking women from Mexico to "work". Read a recent Houston Chronicle article! Check out another report by Fox News. Use this resource - Slavery Map - to learn about more incidents reported throughout the US. For more excellent resources, please visit the Not For Sale Campaign website. As shelters across the nation brace themselves to accommodate more families living on the streets, the Chicago Tribune takes a look at how families in the "Windy City" are fairing the economic storm. Basically, the face of homelessness is changing. How will non-profits, the government, the CHURCH respond to ever growing need for affordable housing? How will you respond? Learn how you can serve in Chicago and other urban areas throughout North America with CSM! Below is are a few of the stories that have been shared from UCC Medfield's trip with CSM to New York City. Big thanks to their leader, Carol, for sharing these experiences with us. Enjoy! "At the Relief Bus, I met a man, who had just lost his apartment that morning. Through resources at the site, I was able to find shelter for him that night and connect him with resources for future housing. Being able to help him in that way, beyond the instant gratification of the soup and hot chocolate we were handing out, was truly God working through me which was an indescribable feeling." "Mission trips have always re-energized both my faith and my soul. The two trips I went on in high school really helped me to grow and strengthen my beliefs while this year as a (hopefully) more mature college student, I really thought about what my faith meant to me. It was incredible to work with the staff of Operation Exodus. They were teenagers and young adults like ourselves who had committed themselves to teaching grade school kids - who absolutely adored them - about God as well as their schoolwork. The love in that church basement was contagious." "One of the core beliefs that was mentioned at two of the mission sites we visited, Furnish a Future and Father's Heart, dealt with restoring the dignity of the people that they served. Restoring dignity, this is truly God's work." "today i saw...the results of God's vision put to work by his people. today i felt...the joy of giving and its impact on those who received. today i learned...how scripture can speak to us in different ways." "This past mission trip was an eye-opening experience. Although I have served on three mission trips in the past, this one proved to be the most influential in my motivation to continue serving others. It has prompted me to look for more service opportunities at school and in the city, and to show my friends the need in our own local area." When I think back on our trip to Brooklyn I remember many things, pushing furniture with John and Carlos, helping Marisa, Edwin, and Jesus get the clothes they needed to stay warm on the cold winter streets, playing and praying with children I barely knew, seeing the joy on the faces of the two ESL students I got to help, and spending time with and getting to know a great group of friends all come to mind. But on top of all those memories there is one thing that always seems to be the first thing to come to my mind. It is a Bible verse from one of our daily devotions. In the story a man is explaining to Jesus how he was amazed that Jesus had known who he was without ever meeting him, and was quick to declare him the Son of God. Jesus noted the man's excitement and told him "…you will see greater things than that" (John 1:50). As amazing as our trip to Brooklyn was, and it was, I truly hope that these words ring true in every participant's lives and in the lives of all our church and in the lives of all Christ's people. What we got to do in Brooklyn was exciting, important, and transformative, but it was only 3 days. There are so many opportunities to serve and so many disadvantaged and marginalized people who need to be served and reminded that they too are children of Christ. Our trip was a chance to help those people, but hopefully it will only be the start of something greater. I loved every minute of our time in Brooklyn, and if Christ has greater things than that in store for us all, then I can't wait." Toronto is a city with many cultures and faiths. For the most part everyone gets along and doesn't try to force themselves onto anyone else. This particular ad is truly upsetting. It makes me very glad that I am here - places that seem to have no hope are exactly where believers need to be. Youth around the nation will be (voluntarily!) going on a "media fast" to focus and learn about the reality of poverty in today's world. 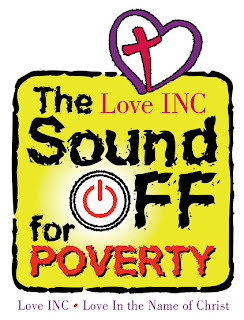 Sponsored by Love INC, this movement hopes to encourage this upcoming generation to "Tune out the noise, Tune in the poor". Learn how your group can get involved! Learn how you can serve amongst the poor in urban centers throughout North America with CSM! Are there too many service providers in the Tenderloin District of San Francisco? This article discusses various viewpoints about the number of agencies focused on serving the homeless. Learn how you can serve with CSM in the San Francisco Bay Area! Amazing story from NPR about a mugger and his would-be victim that inspires us to not only turn the other cheek, but to show justice and mercy in a practical way. Often times when we meet some one on the streets and want to take them out for an inexpensive meal, the person will suggest Clifton's Cafeteria on Broadway. The minute you step in you feel like you are in a different world from downtown - it is quiet, and the decorations are quirky and charming. I have always felt comfortable here no matter who I come with. When I read this article about Clifton's, I realized that this is not by accident. Apparently, the whole Clifton family is a great Christian family that has been committed to justice ever since this place started in the 1930's. They have opposed an unjust mayor even when it meant their business suffered. They have contributed to ending food hunger world wide. They found ways to serve food to the destitute in a way that provided dignity. And, as I have always known, they accept any person that comes through their door and hopes to give them a wholesome meal. One of DC's ministry sites just celebrated their 20th anniversary last month. What started as a way to recycle the food leftover from the 1989 Inauguration of George H. W. Bush turned into an innovative nonprofit that feeds the hearts and souls of many in the nation's capital. Check out this NY Times article which features the site in an article about President Obama and the National Day of Service. 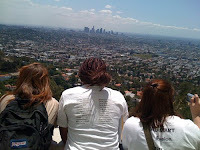 Learn how YOU can serve in Los Angeles with CSM! In many of the cities that CSM works in, we serve alongside an organization called CityTeam. 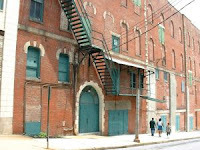 CityTeam provides a number of services for the homeless population. Because of the economic crisis, City Team's homeless shelter/recovery program in Seattle had to close it's doors. Philadelphia Inquirer: "Have a Seat"
Check out a great article about Broad Street Ministry, one of CSM Philly's partner ministry sites!